Mother's Day is just around the corner! It comes only once a year - and so I feel that every Mother's Day we NEED to make our moms feel special and extra loved. What is just one day a year to make them feel MORE special, loved and pampered? Here are some gift ideas for Moms! I'm more of a tea person that a coffee person. And so when I received this beautiful gift box, I was over the moon! This is #BasilurTeaPH x Designer Blooms collaboration for Mother's Day. Isn't that the prettiest? Flowers + Tea, perfect! Honey has sooo many known benefits. What more Manuka Honey! Manuka Honey has an anti-microbal property that sets it apart from natural raw honey. I honestly, didn't know that! Now that I am aware of Manuka Honey's special property, all the more I am convinced to try its products! Bee Healthy Trading curated a Mother's Day gift pack to make us moms feel special and appreciated. Health is wealth and any (natural) health related gifts are much much appreciated. I am so very bad in giving gifts. Yes, that's the truth! 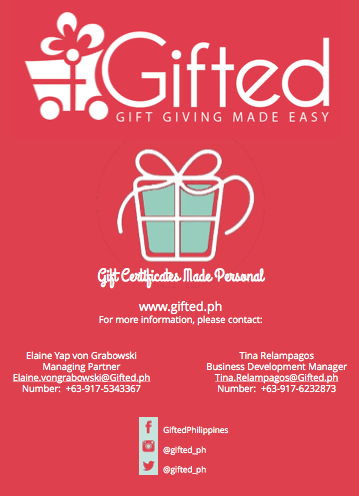 And so when I came across Gifted.Ph, it was heaven sent! I knew that this is the perfect medium of gift giving for me. 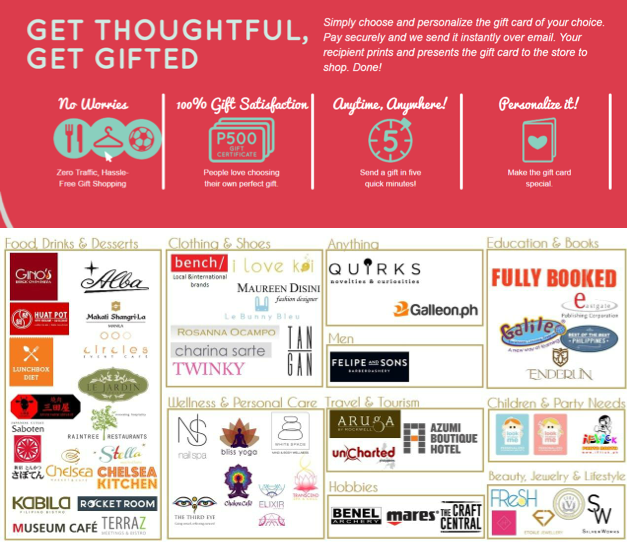 You have about 80 establishments to choose from and whats great is that - you don't need to go out of your house to gift one! No need to drive, park and walk! So there you have it! Some ideas to make your gift giving decision a bit easy. If budget is a problem then - just hug your mom/s and tell them you love them and how much you appreciate them and their sacrifices for you. Simple enough? ?